To live as a refugee is emotionally hard for anybody but most especially for a child still struggling to establish a sense of self and needing stability, security and a sense of belonging. These psychological elements are challenging to provide within the limitations of a refugee environment. Although the Tibetan administration and society in exile have made truly remarkable efforts to address these issues, the trauma of many children who were forced to flee their homes and sometimes leave their entire families is significant. Since 1959 a continuous stream of people has left their Tibetan homeland in search for more opportunities and in an effort to uphold their distinctive identity. By now there live an estimated 100 000 Tibetan refugees in the various settlements established across India. 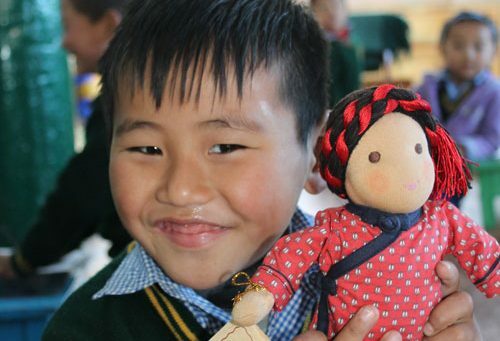 As our workshop is crafting child-friendly explicit Tibetan dolls, we are able to support the youngest of the Tibetan exile community in a very unique way. For centuries dolls have been part of our children’s lives and it has been demonstrated that young girls and boys see their dolls as mirror images of themselves, or those closest to them. A lot of learning is done and inner turmoil worked through in imitative or imaginative role play with dolls. 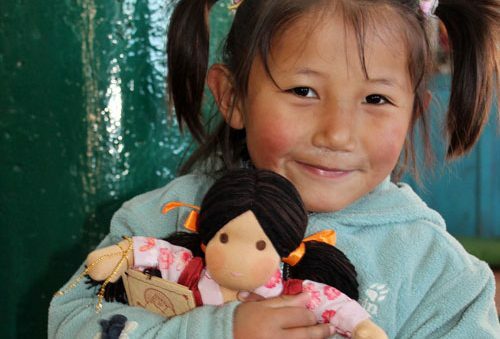 As Tibetan children will easily identify with dolls reflecting their own culture we hope to contribute in a small but significant way to a holistic Tibetan upbringing in exile. With this in mind, we are gathering the contributions of individuals and organizations until we have sufficient funds to make a substantial set of all traditional Tibetan dolls, the simpler Tibetan dolls as well as our nomads puppets with tents and animals for a specific Tibetan institution dedicated to the wellbeing and distinct Tibetan education of the youngest amongst the Tibetan exile community. 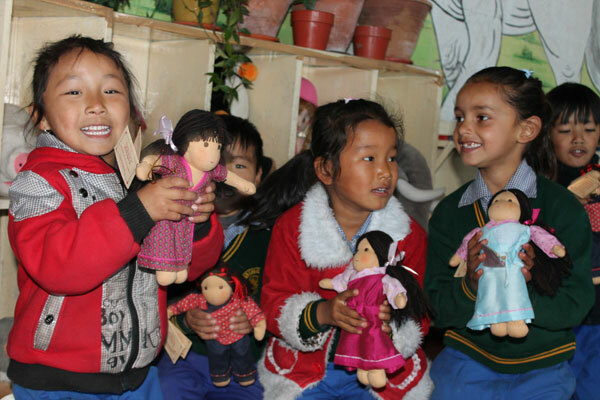 Your participation is greatly appreciated by our Dolls4Tibet team and especially by the children who will receive a precious new companion for their childhood years. 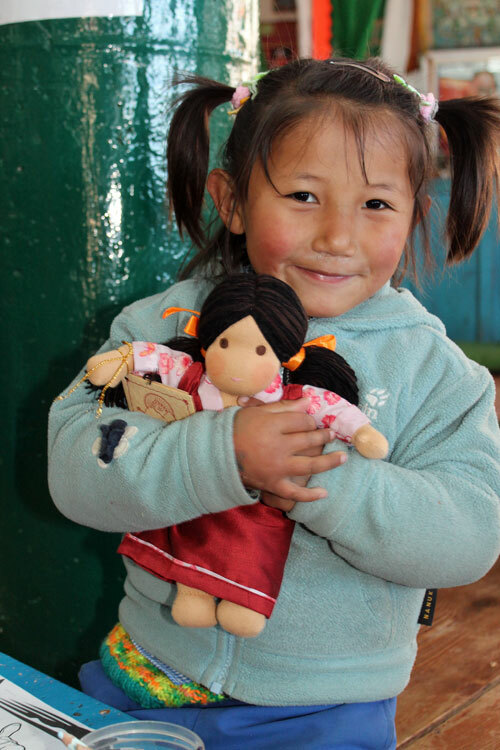 You may offer a small or a large Tibetan doll or you may select a specific amount, which we will add to this project. If you like to gift a specific doll or make a gift to a particular child or institution, simply mention this in the comments on the PayPal checkout page or contact us directly. 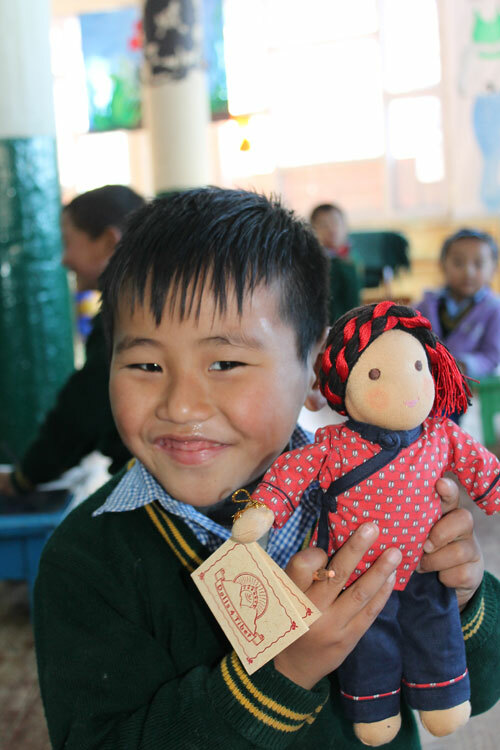 We will keep you updated in detail as to how the funds will be used and which Tibetan school/ kindergarten we will supply with our products once we have received sufficient resources. For further information or if you have ideas which you like to share, please contact us at info@dolls4tibet.com.